Implant dentistry has taken the idea of tooth replacement to an entirely new level. 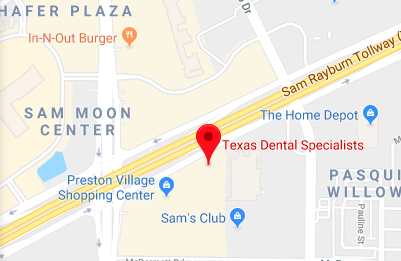 Texas Dental Specialists is so confident in what our dental implants can do for you, we have no trouble stating that implant dentistry is changing the entire conversation about tooth loss. You might be asking yourself who exactly has a conversation about tooth loss and implant dentistry. The truth is, not very many people consider the potential that they might need an implant or that they might lose a tooth before they are old. Of course, from an implant dentist perspective, old is relative. In a recent study, it was found that 69 percent of people over the age of 35 have lost at least one tooth and are in need of implant dentistry. Thirty-five is not old by any means, and certainly not old enough to live with tooth loss. Nobody should live with tooth loss in today's day and age. Tooth loss can be quite a devastating event in the lives of people who have to deal with it. We rely on our teeth for a vast number of things, which is why implant dentistry is so critical to restoring lost teeth. We use our teeth to start the digestive process by chewing our foods. We also use our teeth to enunciate words, which are critical to our ability to communicate clearly and concisely. Believe it or not, your teeth play a very prominent role in your social skills as well, something most people do not realize until they are embarrassed to smile because of a lost tooth. Implant dentistry has taken an ancient art, completely modernized it, and has given you a reason to smile. When we say that implant dentistry is an ancient art, we mean it is more of a science that developed. Ancient Mayans would hammer pieces of bone or shell into patients' gums to replace lost teeth. Luckily, we have long since moved on from the hammer. Today's implants are made of space-age material and placed with revolutionary methods. The primary material used in the manufacturing of dental implants is titanium, also used by NASA to manufacture spacecraft and other objects that have to withstand tough environments. This makes your implants extremely durable since titanium is one of the hardest and strongest substances known to man. In addition to being strong, the way Texas Dental Specialists places the implants plays a critical role in supporting the jaw bone. Often, when you lose a tooth, the jawbone loses a critical support structure in the root. The root provides stimulation to the jawbone, which in turn translates to the body as a reason to support the bone itself. When the stimulation stops, the body will stop supporting the jaw, and more often than not, this will result in bone density loss. The implants we place recreate the stimulation of the natural root, bringing back the support for the bone and ensuring its viability.